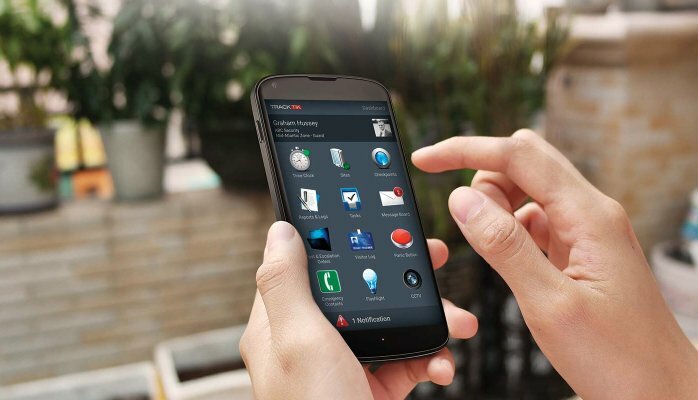 We use smartphones and tablets with quick and simple drop down reporting menus to streamline the reporting, maximize on site visibility, and reduce your risk and liability. 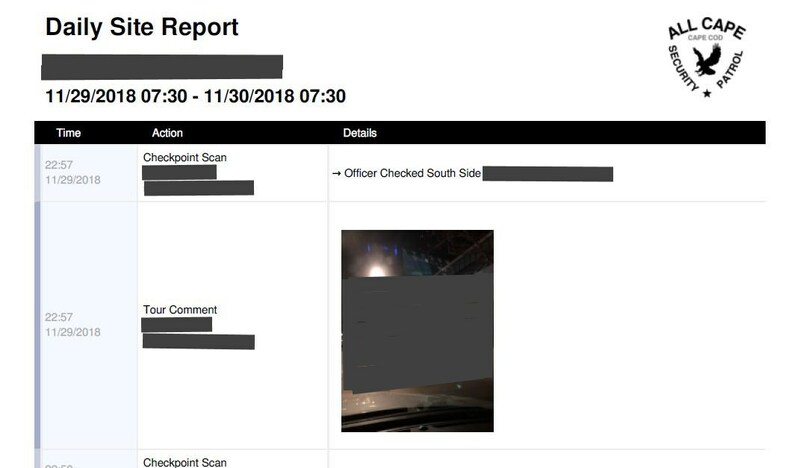 Instead of traditional hand written daily activity reports, our officers are provided varied reporting options that enable them to report electronically throughout their shift. Activity, incident and issue types and their associated details can be completely customized and worded for your industry and specific property. At your choosing, any issues or incidents reported can trigger a notification to the necessary parties (i.e. managers, maintenance supervisors or teams, and issue specific vendors). All reported activities, incidents and issues are prioritized based on the scope of service at each property and according to your needs. 2. The checkpoint is logged into the daily activity report noting the name of the specific checkpoint and the exact time of the scan. 3. A GPS pinpoint is also logged to track the officers location at the time of the scan. 4. The officer can also be required to answer a series of questions, fill out a checkpoint specific custom report and include a photo with the checkpoint to verify their location and document real time conditions during the time of the tour or patrol. 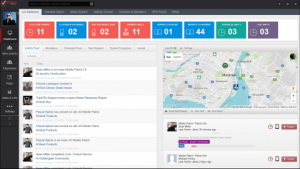 The dashboard is the hub of all the activity reported through our software. Everything that is reported including security incidents, maintenance issues, checkpoints, scheduled tasks, and dispatched tasks will all be tracked right here in the dashboard. Our clients can have access to their own client portal dashboard to see exactly what is happening on their properties. 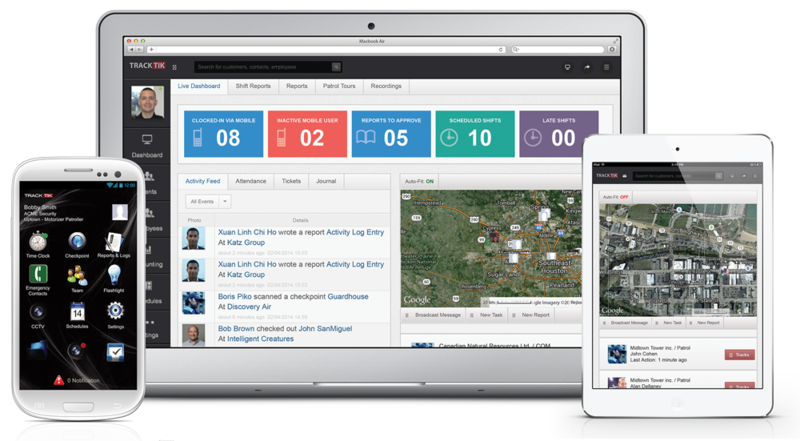 Real time alerts can be set up to notify specific persons within your organization upon discovery of pertinent issues. These notifications can be totally customized depending on the nature and level of urgency of each issue and its category. 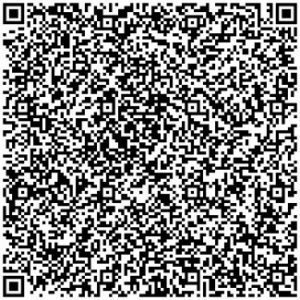 Get as little or as much information as you need, all in real time via email or SMS text message. Property owners, managers and staff can receive incident and issue reports in real time via email. Optional simple text message notifications can alert you that we were on the property and sent an incident or issue report to your email. Task Alerts can be regularly scheduled or dispatched to our officers in the field and can be set up to remind our patrol officers of critical repetitive and timely tasks such as lockups. GPS Tracking shows exactly where guard tour and patrol checkpoints are scanned and precisely where incidents are reported from. 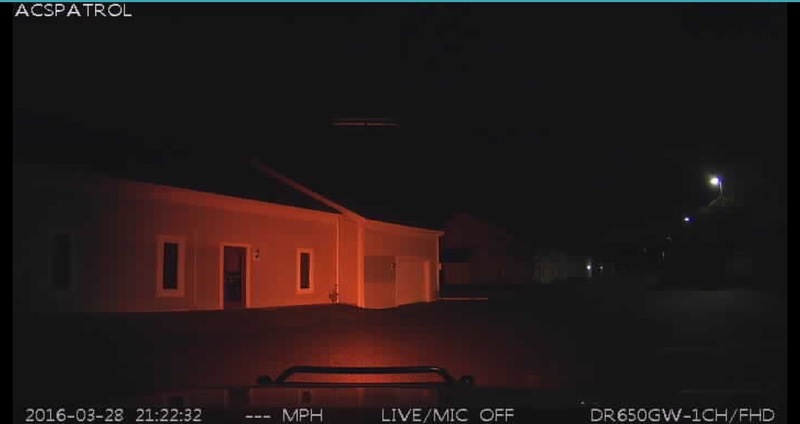 Live Dashboard shows what our guards are doing and what is happening on your property in real-time. Notifications can be configured to alert you, or other departments/vendors depending on the specific nature of the issue being reported. 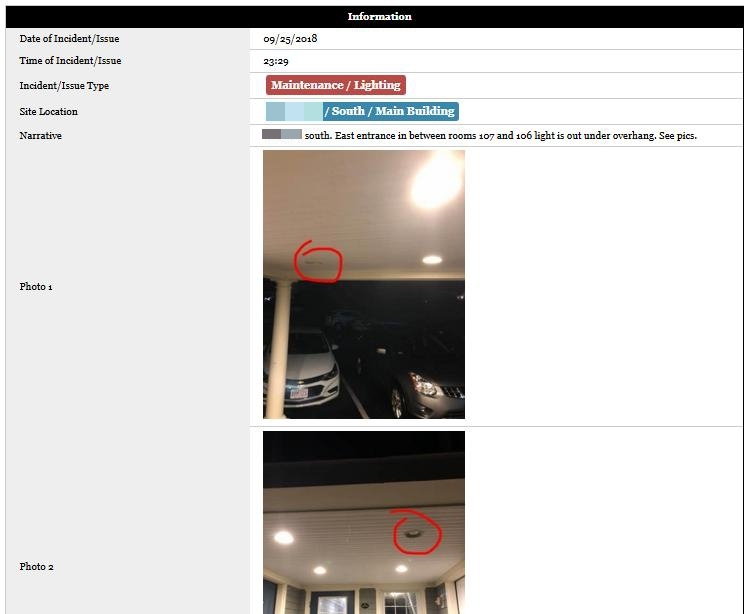 Analytics reports can show very granular details of what is happening on your property in different locations right down to the specific unit/room number. Parking Management can be set up to issue parking permits to residents and/or visitors and can also be configured to log/track vehicle activity on the property, assess parking violations and initiate towing based on the parking regulations in effect on your property. 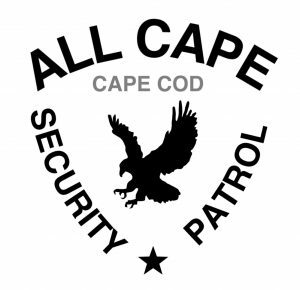 Give us a call at (774) 383-2030 anytime 24/7 or email us right now! Fully detailed electronic activity reports delivered at the end of each shift in PDF format via email. Security, Incident and Maintenance Issue reports delivered in real time per each client’s criteria based on priority levels and incident/issue type. Our patrol officers will also look out for and report on any maintenance issues discovered. 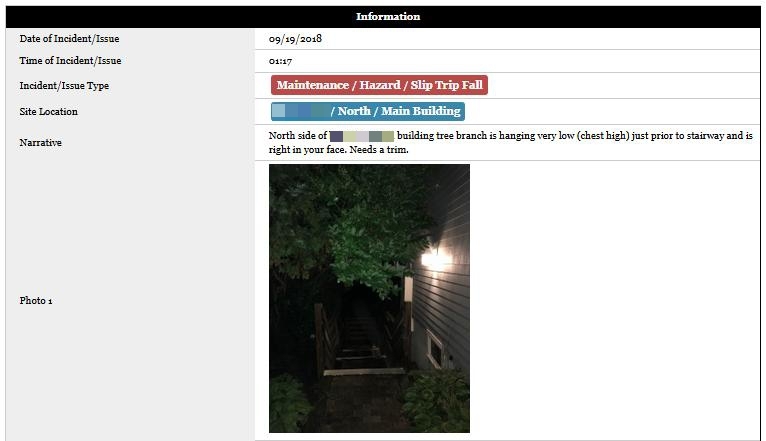 The maintenance issue reporting function allows our guards and patrols to report on liability issues like slip/trip/fall hazards and also to perform property management tasks like lighting inspections, during routine security patrols. Which reduces the workload for the property management team and liability issues for the property. In addition to all reports being sent to the property manager, maintenance reports can also be sent directly to the maintenance team in real time. 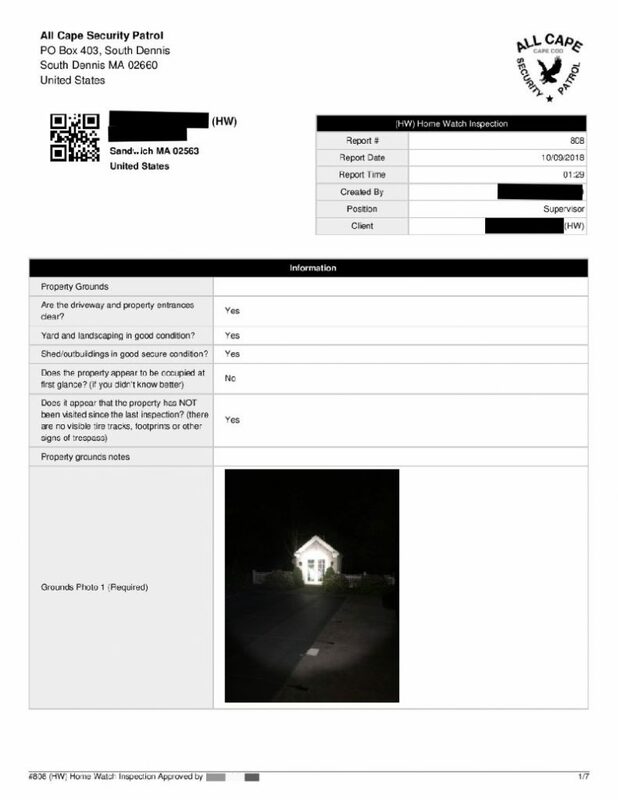 Is your current home watch provider still using old school sign off sheets or index cards and leaving them on the kitchen counter? Call us at (774) 383-2030 to take your home watch and property check services to the next level. 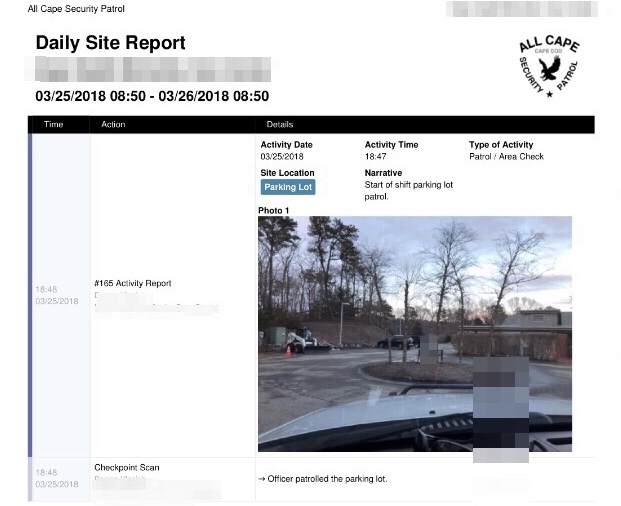 Our reporting software’s Watch Mode, can allow our security team’s mobile devices to function as body cameras to record encounters, or allow us to create video documentation of any current conditions at the property when necessary. All of our mobile patrol vehicles are also equipped with dashboard cameras that constantly record all patrol activities from the vehicle. Take your security to the next level. Your security team is the eyes and ears of your operation, shouldn’t they be reporting on any and all issues they find on the property?